You must be 18 years of age or older in order to register a player or team. Players younger than 18 must get a guardian to register them. Below are instructions for registering single players. Note that you will only be able to register during an open registration period. If you do not see any registrations listed, then registration is already closed or not yet open. From the Register menu, choose Register Player. Browse the available leagues, and click Begin Registration for the league you'd like to register for. After reading the note and league restrictions, click Continue. Enter your email address. The system sends an email to that address. Leave that DSB page open, and go check your email for a message from DSB. Click the link provided in the email. 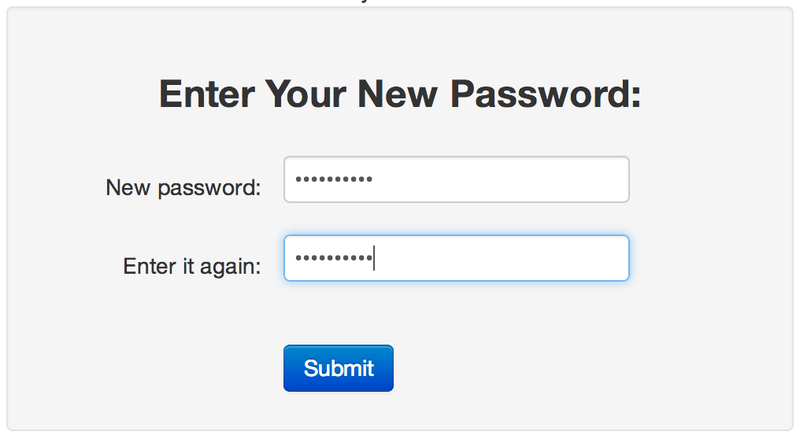 On the resulting page, set up a password. Now return to the registration page you left open previously, and enter the password you just set up. Fill out the Guardian Information page. You'll only have to do this once. Next to your contact info, you'll see the options Private, Roster, and Public. This determines who can see this information. Feel free to choose Private, but we recommend Roster which allows the player's teammates to access your contact information, if needed. Note that your information will never be visible to the public. You've already set your password, so you don't need to do anything with it here. If you wish to sign up a spouse or other guardian, check the box just before the Submit button. Next, fill out the Participant Information page. You'll only have to do this once. Again, we recommend the Roster option for the contact privacy settings. We highly recommend entering your child's cell phone number and provider. This allows us the ability to send alerts and updates via text message. Again, ignore the ID field. Next, fill out the Supplemental Information page. 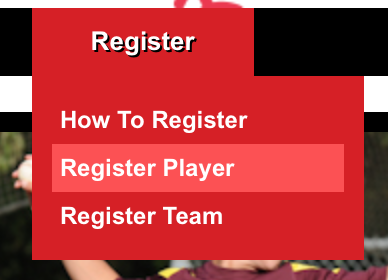 The next page allows you to register another player or to pay for the registration. 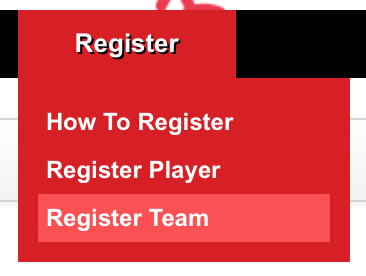 If you have multiple players to register, click Register Another. Otherwise click Pay Now. When you reach the Payment page, enter your billing address and credit card information. Review the total cost, and then submit the payment. You will be brought to a confirmation page. You will also receive a receipt via email. Finally, you will also receive a registration confirmation via email. From this point, you can log in to the site to see your registrations, update contact information, register for future leagues, view team information, rosters, schedules, and so on. Below are instructions for registering a full team. Note that you will only be able to register during an open registration period. If you do not see any registrations listed, then registration is already closed or not yet open. From the Register menu, choose Register Team. Browse the available leagues, and click Register Team for the league you'd like to register for. Fill out the Participant Information page. You'll only have to do this once. Next to your contact info, you'll see the options Private, Roster, and Public. This determines who can see this information. If you are a public figure for the team (coach, manager, etc. ), we recommend setting this to Public so people can easily contact you about the team. Next, fill ou the Supplemental Information page. This allows you to enter a team name and indicate your position on the team (coach, manager, etc.). The next page allows you to register another team or to pay for the registration. If you have multiple teams to register, click Register New Team. Otherwise click Pay Now. When you reach the Payment page, enter your billing address and payment information. Review the total cost and then submit the payment. From this point, you can log in to the site to see your registrations, update contact information, view team information, rosters, schedules, and so on.